The Director of the Hong Kong Economic and Trade Office in Chengdu (CDETO) of the Government of the Hong Kong Special Administrative Region (HKSAR), Miss Pamela Lam, and the Deputy Secretary-General of the Sichuan Provincial People's Government, Mr Zhao Weiping, officiated at the Opening Ceremony of "Together · Progress · Opportunity – Roving Exhibition in Celebration of the 20th Anniversary of the Return of Hong Kong to the Motherland" in Chengdu today (July 11). 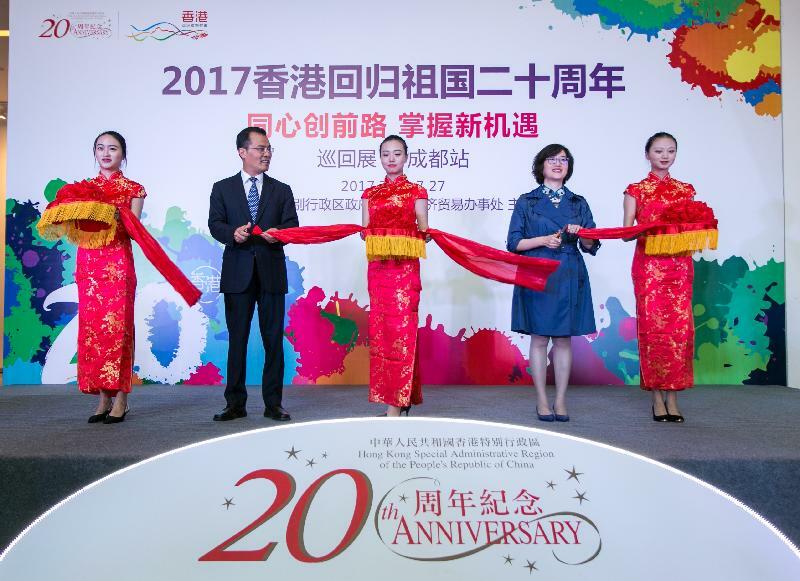 To celebrate the 20th anniversary of the establishment of the HKSAR, the CDETO has organised "Together · Progress · Opportunity – Roving Exhibition in Celebration of the 20th Anniversary of the Return of Hong Kong to the Motherland". The exhibition will be open to the public for free from today until July 27 at the Sichuan Art Museum. The exhibition also showcases how Hong Kong and the Mainland work together in fields such as trade, finance, technology, infrastructure, culture, sports, community, conservation and disaster relief, building closer connections with each other. The exhibition, presented in 10 sections, features more than 10 video clips and 200 photos, as well as models and interactive elements. The rich variety of pictures and text helps present Hong Kong's exciting city landscape, latest developments and future development blueprint. 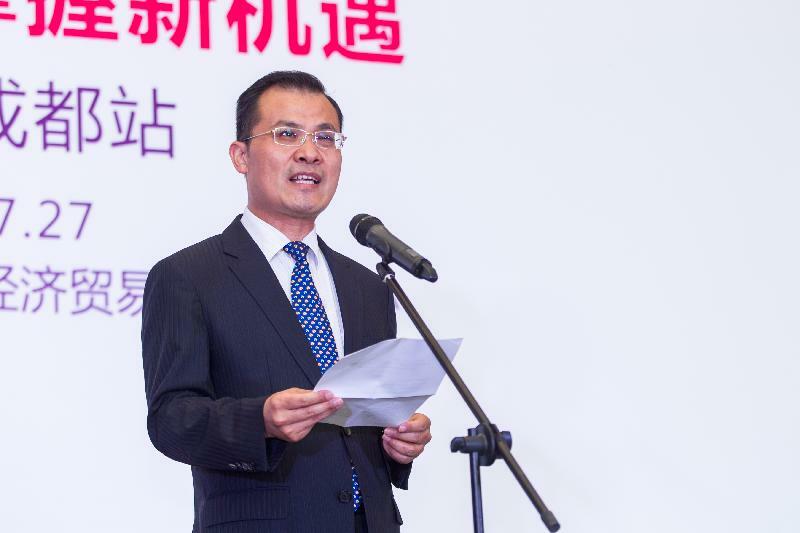 The CDETO will also hold a series of celebration activities in the provinces, municipality and autonomous region (Sichuan, Chongqing, Shaanxi, Guizhou, Qinghai and Tibet) under its coverage to commemorate the 20th anniversary of the return of Hong Kong to the motherland. 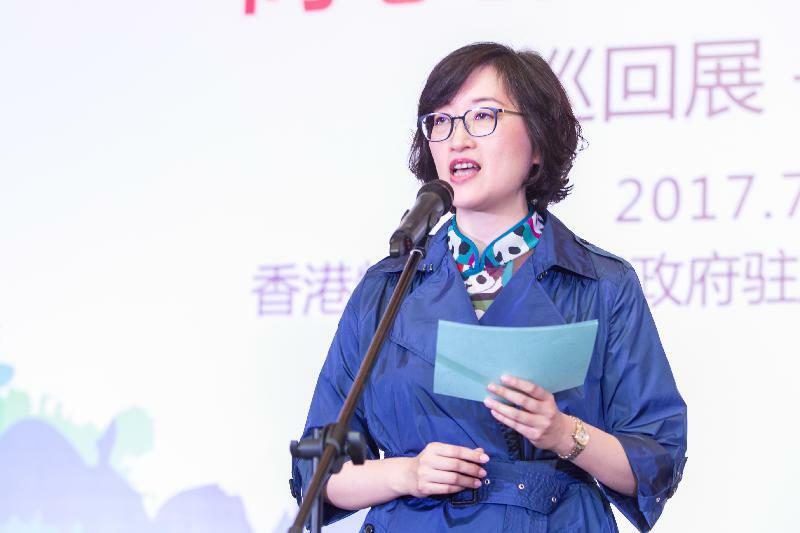 The celebration activities to take place in Chengdu include "Voices of Hong Kong: Concert by Windpipe Chinese Music Ensemble", "The Last Supper" by Hong Kong Repertory Theatre, "Cello Recital by Trey Lee" and "Cheng Wai Recital China Tour". Details can be found at the CDETO’s website and official WeChat platform.